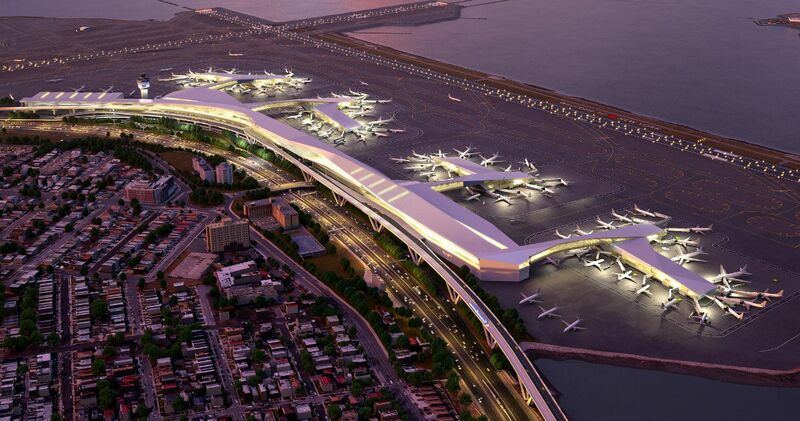 For those of you still flying high over yesterday’s news that LaGuardia Airport would soon be getting a major revamp, here comes some unfortunate news that might bring you back down to earth. 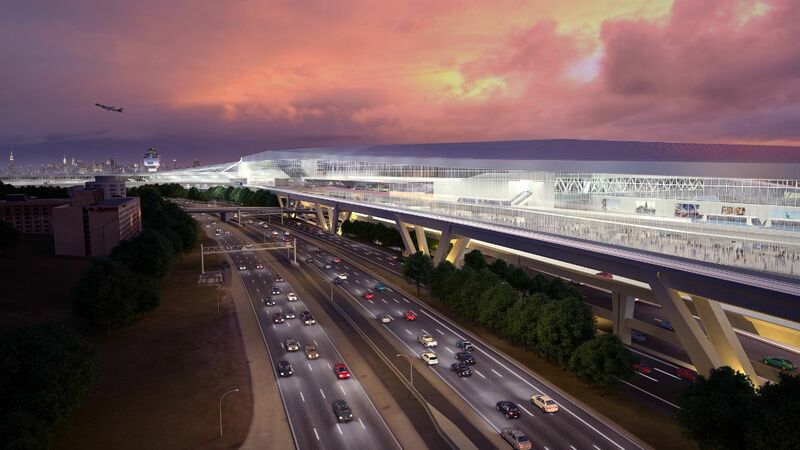 As Crain’s reports, Governor Cuomo appears to have grossly underestimated his vision for the upgraded air hub. “According to several sources with direct knowledge of the project,” the paper says, “a new LaGuardia could take more than 10 years to build and cost close to $8 billion”—a price that’s double the Cuomo administration estimates of $4 billion, with at least another five years tacked on to the schedule. As revealed yesterday, the plan put out by Cuomo includes consolidating all the airport’s terminals—the Central Terminal Building/Terminal B, and Terminals C and D—into one contiguous hub. Additionally, there will be a new AirTrain that will connect travelers to the 7 line in Willet’s Point, as well as a 24-hour ferry service that will operate out of the landmarked Art Deco Marine Air Terminal. The governor said that the new facility would begin construction in 2016 and be complete by 2021; however, experts are saying that squeezing all that work into such a narrow block of time is impossible because “it would require redeveloping all three terminals at once, something that would paralyze the airport’s operations.” Rather, they suggest that a more realistic scenario would see the construction of the new Central Terminal Building first, and then Terminals C and D once that is complete. At the end of the day, this would mean a 2026 completion date. Experts also add that the governor’s cost estimates are far too conservative and also fail to account for improvements to infrastructure, such as roadways, parking, and the new AirTrain. Moreover, it’s worth noting that the Central Terminal Building is receiving most of its funds through a public-private partnership, while Delta will most likely bear the brunt of the cost for redeveloping Terminals C and D–though they are still in negotiations with the Port Authority.